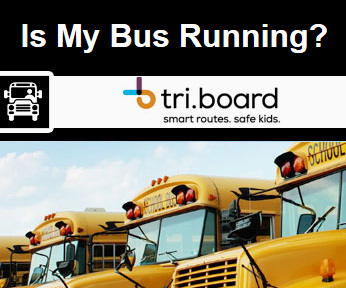 Absences may be called into the school at any time by calling 613-332-1220 and pressing 4 for the attendance mailbox. Parents/guardians can leave a message that their student will be absent on a certain day and state the reason why they will be away. Vacations, hunting absences and extended absences of more than 3 days require a Prolonged Absence form to be completed. Students may pick this form up in the front office. The form is taken to all teachers for work assignments that will be missed during the absence then home for parents/guardians signature and back to the school for the principal's signature. 5-Minute Fridays is a joint project between North Hastings Senior Elementary School and North Hastings High School to help improve mathematical understanding for our students. The information below will assist your son/daughter in understanding the basic math skills that will help them understand the concepts taught in upper level mathematics. This page will be updated regularly, so check back often. 22 March 2007, Belleville, OntarioCMarch Break held a special surprise for students of North Hastings High=s Northern Outdoor Studies (NOS) class. On Friday, March 16, they were presented with the Ministry of Natural Resources Junior Conservation Award, at the Ontario Federation of Anglers and Hunters annual conference by Natural Resources Minister David Ramsay. The award is given to the youth group which is judged to have made the most progress and greatest contribution to conservation in the province of Ontario. The Northern Outdoor Studies class is a four credit program open to Grade 11 and 12 students. It prepares them for direct entry into the work force in selected sectors such as logging, resource and wildlife management, ecotourism and horticulture. Students study ecology, resource and forestry management, recreation services, community leadership and related topics. Graduates earn 14 certifications, including Ontario Hunter Education, Canadian Firearms Safety, the Fur Harvest/ Management and Conservation Course, Professional Chainsaw Operator and Canoe Tripping Level 1. Before finishing the program, students assemble their own portfolios highlighting the certifications, skills and knowledge gained through the course. Employers in the community are actively involved in curriculum development and work placement initiatives. Pomeroy and colleague Barb Gillis are both NOS teachers. As part of the course activities, they teach students how to sharpen and use chainsaws, perform Lake Trout spawning surveys, age deer jaws, collect biological data and make plans for a five-day Algonquin Park canoe trip. The Canadian Wildlife Federation (CWF) presented its annual Youth Conservation award to North Hastings High School’s Northern Outdoor Studies program. This national award recognizes outstanding individuals and organizations who exemplify achievement in the field of natural resource conservation. Mr. Pomeroy was flown to Saskatoon to accept this award on behalf of the Northern Outdoor Studies Program at the Canadian Wildlife Federation’s Annual 2007 Banquet. 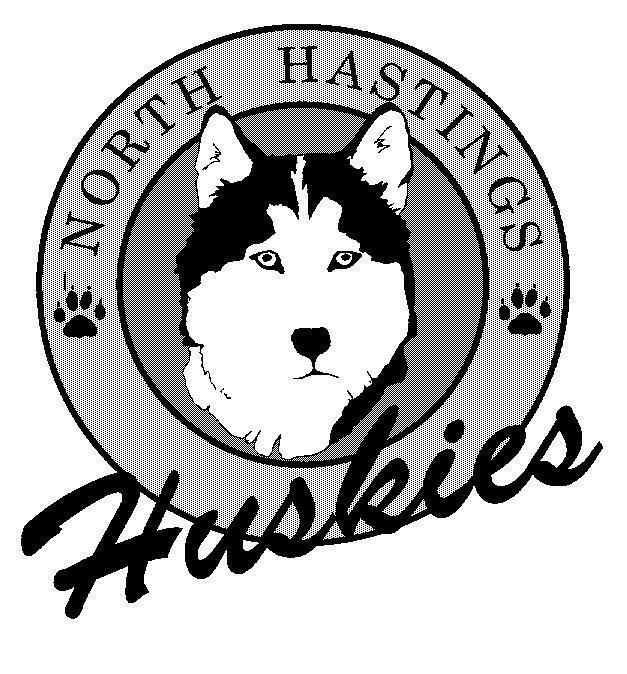 Congratulations to North Hastings High School (NHHS) students in the Northern Outdoor Studies (NOS) program for receiving a provincial award for the second year in a row! The students were recognized for their impressive efforts to learn about and enhance Ontario fish and wildlife resources. On Friday, March 18, 2011, teachers Glen Pomeroy and Barb Gillis accompanied the students to the 83rd Ontario Federation of Anglers and Hunters (OFAH) Fish & Wildlife Conference in Mississauga. At the conference, the NHHS NOS program received provincial honours by being presented with the Junior Conservation Award by the Honourable Linda Jeffrey, Minister of Natural Resources. "These young people are acquiring valuable skills in the outdoors that they can use for the rest of their lives," said Minister Jeffrey. "I commend the school and instructors for making this course available and applaud the young people who have taken part in it." Principal Ken Dostaler echoed the Minister’s remarks, stating, "At NHHS, we are very proud of the success of our Northern Outdoor Studies program. Our students continue to be engaged in studies that reflect the culture and employment opportunities in North Hastings." Nominations for the Ministry of Natural Resources Junior Conservation Award were submitted from across Ontario and reviewed by a panel of judges from the outdoor industry. The winners were selected for conservation activities completed during 2010. The natural resources course packages offered at North Hastings High School are now recognized by the Ministry of Education, as approved courses where students can graduate with a Specialist High Skills Major Secondary School Diploma in Forestry, or The Environment. The Specialist High Skills Major (SHSM) programs are designed to provide students with sector-recognized learning, skills and certifications that are advantageous for success in the workplace and/or post secondary education destinations, and are recognized by the SHSM diploma and student transcript. North Hastings High School has an articulation agreement with Sir Sandford Fleming College in Lindsay, Ontario. This agreement allows students who have completed certain natural resources courses at the high school, to enter directly into second semester of a natural resources program at the college, thereby saving students time and money in acquiring a post secondary diploma in the natural resources sector. NOS Algonquin Park Canoe Trip 2010 from Doug Isaak on Vimeo. Responsible citizenship involves appropriate participation in the civic life of the school community. Active and engaged citizens are aware of their rights, but more importantly, they accept responsibility for protecting their rights and the rights of others. · respect and comply with all applicable federal, provincial, and municipal laws. respect differences in people, their ideas, and their opinions. treat one another with dignity and respect at all times, and especially when there is disagreement. respect and treat others fairly, regardless of, for example, race, ancestry, place of origin, colour, ethnic origin, citizenship, religion, gender, sexual orientation, age, or disability. show proper care and regard for school property and the property of others. seek assistance from a member of the school staff, if necessary, to resolve conflict peacefully. respect the need of others to work in an environment that is conducive to learning and teaching. · engage in bullying behaviours. swear at a teacher or at another person in a position of authority. traffic weapons or illegal drugs. be in possession of any weapon, including firearms. use any object to threaten or intimidate another person. cause injury to any person with an object. be in possession of, or be under the influence of, or provide others with alcohol or illegal drugs. Inflict or encourage others to inflict bodily harm on another person. engage in hate propaganda and other forms of behavior motivated by hate or bias. · commit an act of violence that causes extensive damage to school property or to property located on the premises of the school.